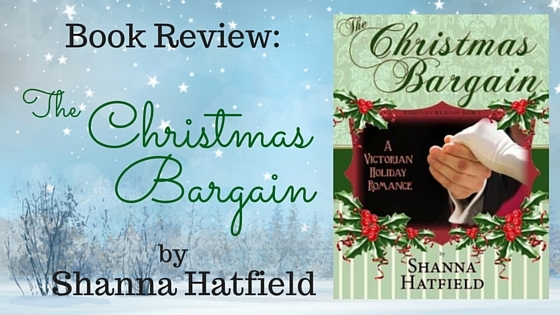 This autumn, I treated myself to a luxurious read: The Christmas Bargain, by USA Today Bestselling Author Shanna Hatfield. Sweet Christmas Kisses 2 [with Shanna’s title The Christmas Crusade] debuted (9-29-15) on the USA Today Bestsellers list. Congratulations, Shanna! The Christmas Bargain is a full-length Victorian-era Holiday Romance, at just under 300 print pages. Shanna’s choices in storytelling provided adequate time for readers to appreciate the characters and their motivations, and to ally themselves with Philamena (Filly) and fall in love with Luke Granger. Both are most deserving characters and I rooted for their happiness from the outset. Setting: Hardman, Oregon (Eastern Oregon), winter 1893. Hardman is a real-life location that thrived in the 1880’s and 1890’s, but has now dwindled to a ghost town with few current residents. Please return here tomorrow (11-10-15) when I host Shanna Hatfield and she shares even more about her choice of locations for her Hardman Holidays series. Christmas themes of giving, gratitude, looking beyond oneself, forgiveness, and family play dominant roles in this heartwarming, sweet romance. I felt the joy of Christmas and found myself happily anticipating the coming holiday season while reading. While Christmas does play a role in the novel, it can and should be enjoyed throughout the year. As an author of sweet western historical romance, I easily recognize Shanna’s strengths and capacities… and am impressed by her ability to switch point of view (POV) every few paragraphs and do so seamlessly, flawlessly, and hence provide multiple viewpoints within each scene. Most importantly– it works. Until I read The Christmas Bargain, I firmly believed in only one POV per scene, no matter what. Shanna’s polish and strength in writing clear, objective POV switches has caused me to rethink my strong opinion. I enjoyed the multi-layer textures of Shanna’s storytelling so much, I found I couldn’t be troubled with the multiple viewpoints (once I settled into her writing style within the first scene or two). Congratulations, Shanna Hatfield, on a beautifully written novel. For me (and hundreds of reviewers on Amazon and Goodreads), a 5-star read. Have you read book(s) by Shanna Hatfield? What did you think? Any writer who is endorsed by Kristin Holt will be on my reading list. Can’t wait to read Shanna Hatfield’s books. Excellent! Thank you, Rocky, for your utter trust. I believe you’ve just found another author (and her LONG backlist) to enjoy… and Shanna Hatfield has just gained another loyal reader. It’s magic!